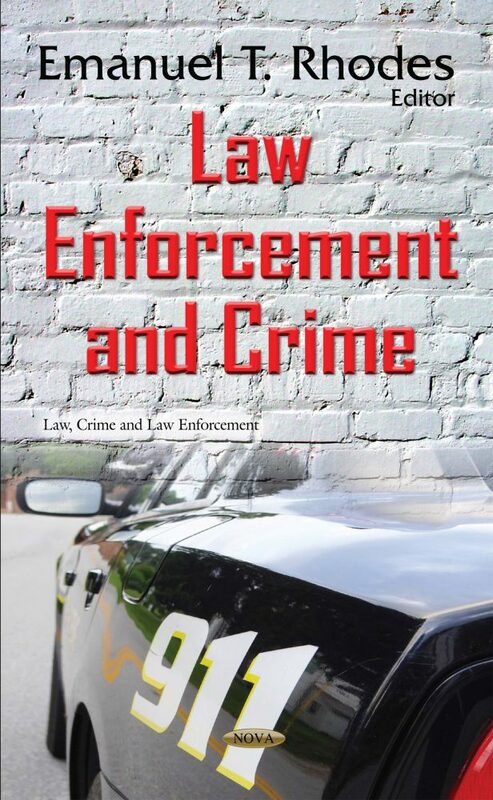 This book provides an overview of current analyses and developments pertaining to the law enforcement and crime. Chapter one analyzes individual elements of the polygraph examination in pre-employment cases in law enforcement agencies, and attempts to answer the following questions: How are existing standards “scientific”? What should be done to raise the level of quality control in this kind of examinations? Chapter two studies the use of insects as evidence and as a forensic indicator in law enforcement technology. Chapter three explores a public health approach to preventing child fatalities. Chapter four discusses the prospects of the use of prison informers. Chapter five studies the homicide rates in the U.S. and their correlation with other publicly available data applying this nonstandard visualization technique; and a comparison of homicide rates in the U.S. to that of different Latin American countries is shown. The last chapter is an attempt to show that violence in American popular culture can be justified, and may even serve the story. The chapter will focus on depicting concrete scenes from Paul Verhoeven‘s 1987 film Robocop to prove that apart from showing violence, they actually raise important sociological and psychological matters.